Ready for your best commute of the year? This September, Be Well Philly is teaming up with Run215 and Philadelphia Runner to bring the third annual #RuntoWorkPHL to life. 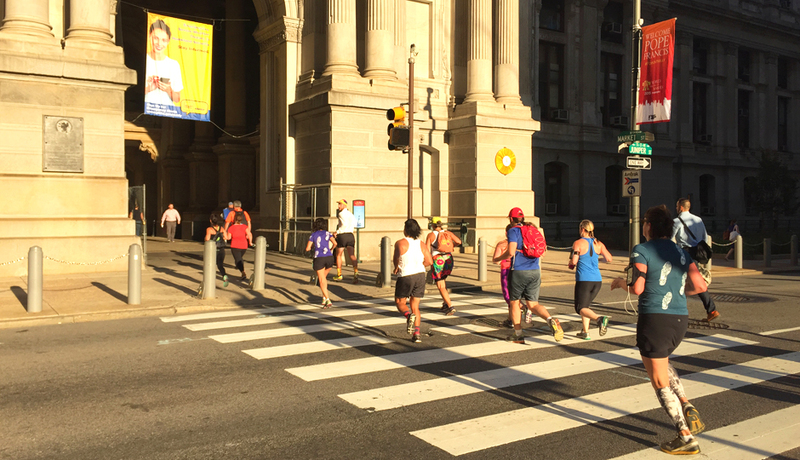 What’s #RuntoWorkPHL, you ask? Well, it’s an awesome, sweaty day where folks across the city abandon their SEPTA and car commutes and start their days off pounding the pavement into work instead. (But not before stopping at Philadelphia Runner’s breakfast party, of course.) We’ll be rolling out details on the big day over the next couple weeks — we’ve got some surprises up our sleeves! — so bookmark this page and check back often. And we’ll see you in your running shoes September 16th!